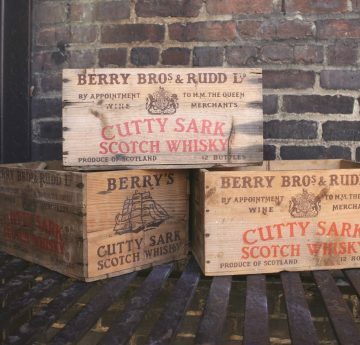 Named after the legendary Tea Clipper ship – the fastest ship of its day – CUTTY SARK is one of the most recognisable Scotch Whiskies in the world since its creation in 1923, with a long and distinguished heritage celebrating the spirit of adventure. 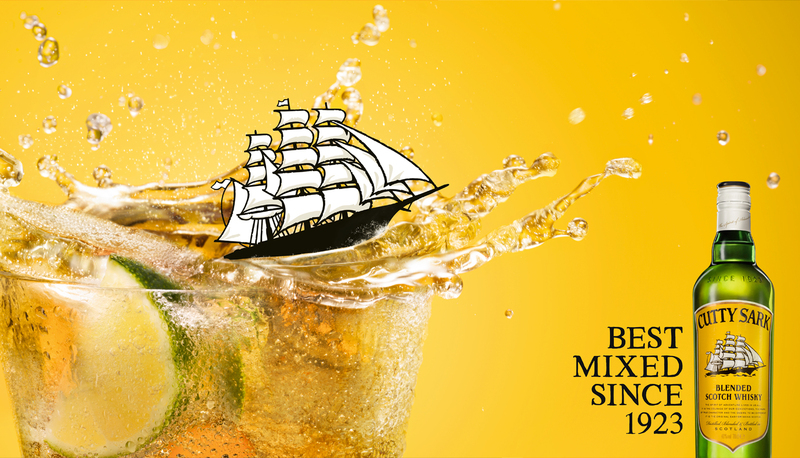 CUTTY SARK offers a lighter taste and fresher personality, perfect for mixing. The very first light and refreshing blend of the CUTTY SARK family. 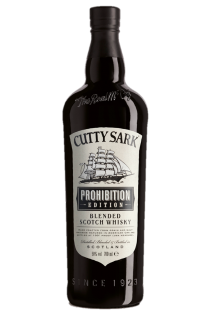 A tribute to the brand’s origins in the 1920s, CUTTY SARK Prohibition is a full flavoured Whisky with strong and spicy notes, balanced with all the smoothness of a true CUTTY SARK blend. The way CUTTY SARK is elaborated ensures a unique light, vibrant character, perfect for all cocktails and mixed drinks. The ageing in carefully selected American oak casks create the wonderful smooth and rich caramel, vanilla flavours. Then the unique marrying process allows the whiskies that make CUTTY SARK to blend together, and to be filtered at a higher temperate to avoid harsh chill filtration. Consistent high quality is ensured by the hard work of our Master Blender. Fill a highball glass with ice. Pour the CUTTY SARK and ginger ale over the ice and squeeze the twist of lime over the top of the glass, releasing the citrus oils from peel. Garnish with the lime wedge and serve. Fill a highball glass with ice. Pour the CUTTY SARK and bitter lemon over the ice and squeeze the twist of orange over the top of the glass, releasing the citrus oils from peel. Garnish with the orange peel and serve. Fill a highball glass with ice. Pour the CUTTY SARK and cola over the ice and garnish with orange peel.